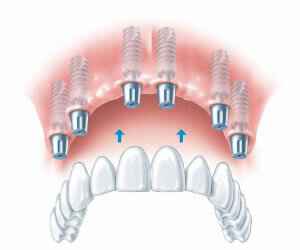 Dental implants are a great option for many patients. At Stephen Franks Dental, we think it’s important that you, as a potential implant patient, understand what your options are and which processes are involved, so you can be as informed as possible. The information provided below is also displayed at the foot of this page as pdf documents which can be downloaded and printed at your convenience. The implant crown is carefully crafted to look and feel like a healthy, natural tooth that feels like part of you. 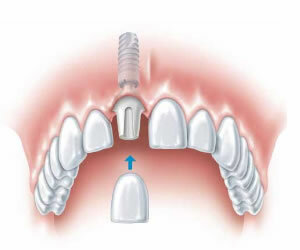 The implant replaces the function of a natural root and if looked after properly should last a lifetime. 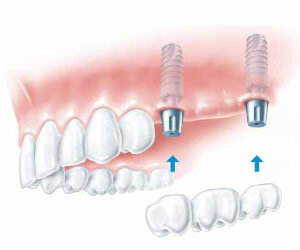 It stimulates the bone molecules to attach themselves to the titanium thread of the implant, providing a completely stable foundation for the new crown – a process known as osseointegration. It usually takes 8-12 weeks for the bone to securely bond to the entire implant surface. A single implant will support a single crown and is the ideal solution when compared to conventional alternatives. The treatment is simple and the procedures are very minor when carried out by well trained and experienced surgeons.All of his treatment protocols are evidence based, following the recommendations and philosophy of the International Team for Implantology. Stephen audits all of his surgical cases and achieves very high success rates. 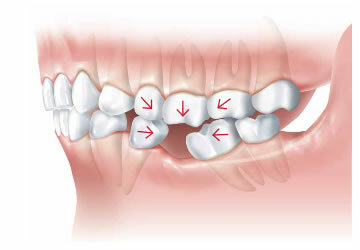 A fixed implant bridge involves the placement of two or more dental implants. The implants provide stability and stimulate the surrounding bone to prevent significant bone loss. 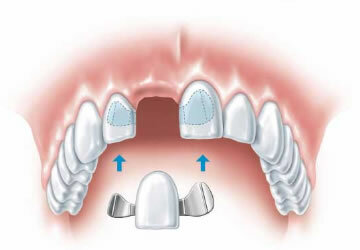 Crowns are then fabricated and connected to the implants with a centre crown that sits over the gums. 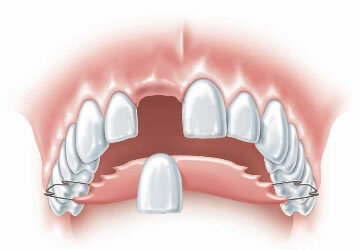 Bridges on implants are an exceptionally stable and long term solution for multiple missing teeth. 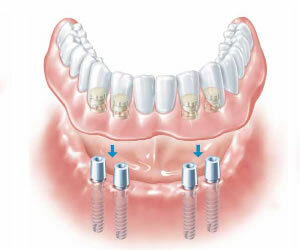 You only need 4-6 implants to support a bridge of all of the missing teeth, greatly reducing the bone loss that occurs with conventional dentures. Dental implants will provide you with a stable and long term solution that reduces the pain, discomfort, instability, and bone loss that denture patients experience. The bridges can be made to be screwed in place. A very cost-effective alternative is to have a denture that is secured in place with implants. These are an economical and rapid solution but most people tend not to like dentures as they often feel bulky and uncomfortable. They are frequently loose, causing difficulty and embarrassment when eating, and they have to be removed at night. They can increase the loss of bone and affect the supporting teeth. These are a good solution in some cases but tend to be at risk of falling out if excess biting force is placed on the bridge. With the absence of the natural tooth root the bone above the crown begins to shrink. A high speed drill cuts out a significant amount of the neighbouring teeth to prepare them to take a bridge. This of course damages the teeth and shortens their lifespan. 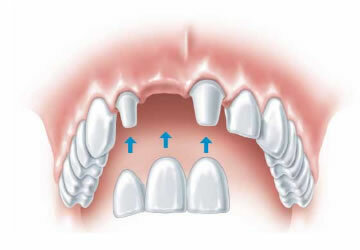 The extra loading the teeth then take means that bridges tend to last only 10-12 years on average and can result in the loss of the supporting teeth. Apart from the obvious cosmetic issues that may result, failing to replace teeth that are lost will increase the forces that the remaining teeth have to withstand when chewing. This will result in additional teeth potentially being lost as the chewing forces on the remaining teeth increase more and more, eventually leading to their loosening or fracture. Click on an image below to view or download a pdf.